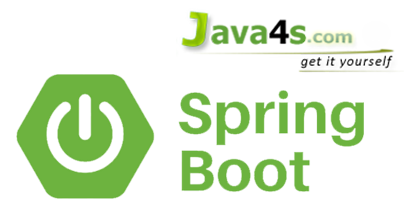 Spring Boot is a framework developed on top of core spring framework. The main aim of Spring Boot is to let developers to create spring production grade applications and services with very less effort. Did you remember, what it takes to create real-time spring applications? It includes writing many XML configurations, server setting, adding dependencies…etc. But with spring Boot we can avoid all these boilerplate code, writing XML configurations and annotations. We can create a real-time production ready applications with in minutes. So, as I said main advantage of Spring Boot is, we can create spring based applications easily in very less time, without need of any XML configurations. The main disadvantage is, it will be little tough to migrate existing spring enterprise applications to Spring Boot. Remember, we have to use either Maven or Gradle build tool to work with Spring Boot. Just don’t worry, I will explain about the Maven/Gradle configurations while giving the example and one more thing is, Spring Boot provides command line interface tool to develop/test the Spring Boot applications from the command prompt easily. This website is very good and explain the concepts are very clear. Very clear explanation.thanks for sharing your knowledge. Please keep posting. Plz post one artical on @ExceptionHandler in spring controller level and realtime example. Thank you sir! Awesome platform for java developers.